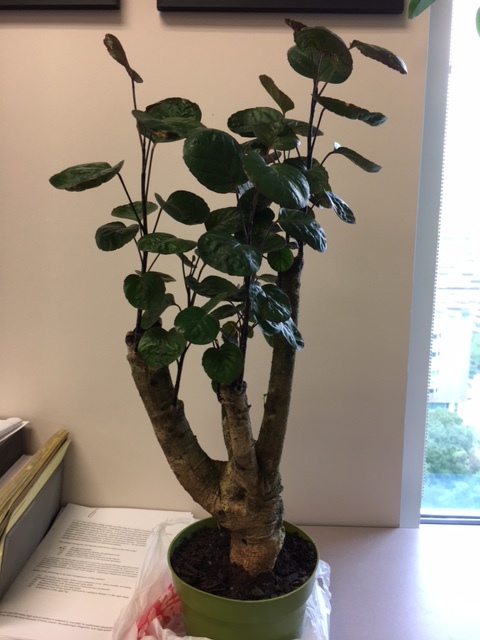 I think that I have a katsuma bonsai tree, but not sure of it. After my research, this is what I have come close to. Thank you because I am not sure how to care for it. Hello Jim - Your tree is Polyscias scutellaria, commonly called Shield Aralia. 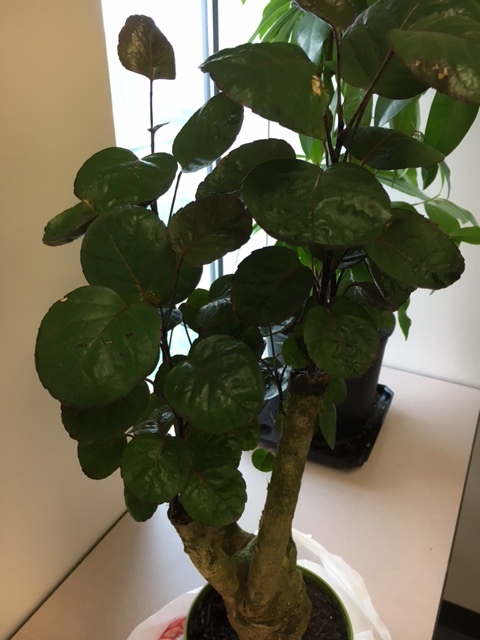 It is typically grown as a house plant, but occasionally as bonsai. It is a tropical so unless you live in one of the frost free areas of Texas you will need to keep it indoors in winter. The leaves are rather large and do not typically reduce in size under bonsai treatment, so a larger tree might seem more realistic. They are typically very easy to grow but they will get leggy over time and will require a hard pruning. They will bud back after such. Do not expect much ramification as these are really forest understory shrubs. I appreciate your response. I live in Houston and it is somewhat frost free but sometimes like last year, we get a hard freeze unannounced and it completely wipes out the tropical plants. 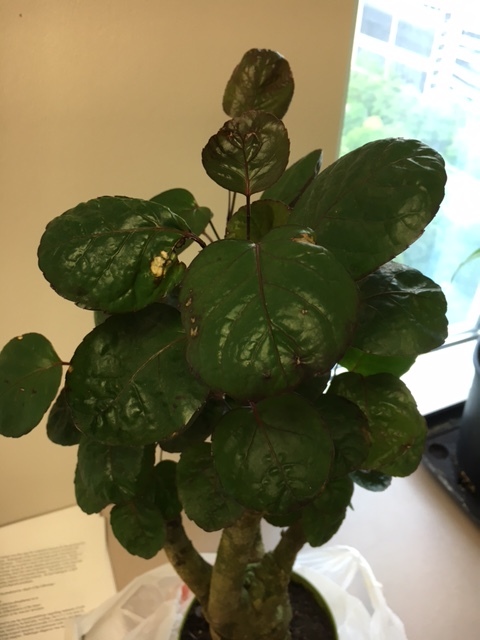 I plan on keeping this as an office plant but wanted to be sure that I knew what it was so that I could properly take care of it.